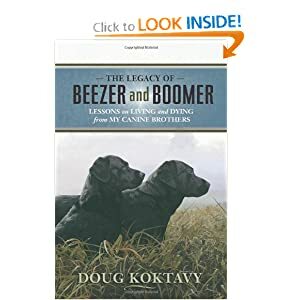 The Legacy of Beezer and Boomer by Doug Koktavy is now available at Amazon.com! In this enlightening read, Doug shares the lessons about living and dying that he learned from helping his canine brothers through hospice care. This book introduced us to the concept of Anticipatory Grief and greatly helped us cope with many difficult emotions after discovering Jerry’s cancer had metastasized. The Legacy of Beezer and Boomer is a memoir that offers new and transforming insights into our relationships with companion animals. When Doug Koktavy reluctantly brought home two sibling Labrador retriever pups on his wife’s urging, he was sure the dogs would create upheaval in his already hectic life. He could not have known the dogs would become cherished family members and take him on a wild ride that would change his life forever. 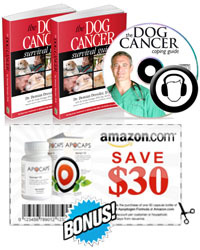 See what others have to say about this helpful book below. Read more reviews at Amazon.